A sign is posted on the exterior of a Target store on February 28, 2017 in Los Angeles, California. Target's first-quarter profit rose almost 8 percent as attempts to turn its business around appear to be gaining some traction. Sales at established stores fell for the fourth consecutive quarter, but the decline was less than expected, and online sales surged 22 percent. While the good pieces of news sent shares up more than 2 percent in midday trading Wednesday, CEO Brian Cornell still needs to find a way for Target to thrive in the face of intense pressure from Amazon and Wal-Mart. One of Target's key problems is that customer traffic declines extended into the first quarter and the amount shoppers put in their baskets also dropped. And Target also is still struggling with groceries and essentials, which drive shoppers to the store. "While we are pleased that our first-quarter financial performance was better than expectations, our results are not where we want them to be and we have much more work to do," Cornell told investors. He noted that results have been volatile week to week since Christmas. 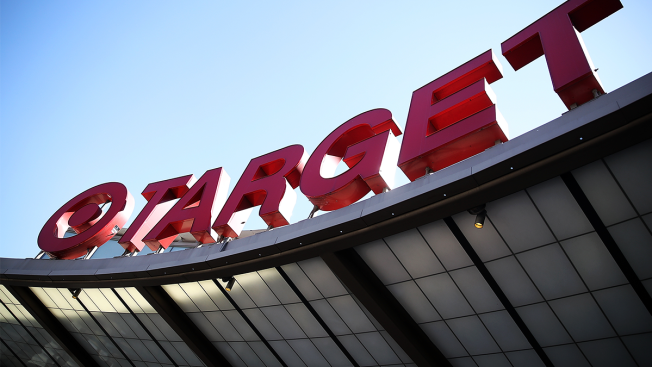 Facing those challenges, Target had announced plans in February to remodel more than a third of its 1,800 stores over the next three years, speed up its expansion of small-format stores, bolster online operations, and launch new brands. The company will also use stores as local distribution hubs — using the backroom storage areas to also house goods bought online directly to homes, or held there to be picked up by shoppers. Target is now using about 1,000 stores for direct shipping in a bid to match Amazon's free, two-day delivery available to its Prime customers. With those measures in place, Target said it expects profits to start growing again in 2019 after taking a hit of $1 billion this year. Cornell had said Target wants to return to more consistent low prices on essentials to deepen loyalty among shoppers, a shift from the temporary discounts it had been promoting. That might look like it's taking a page from Wal-Mart's playbook. But Cornell said Target is focusing on exclusive brands and the experience customers have in stores as well. Target said it launched a new ad campaign focused its convenient and low-price assortment of everyday items late in the first quarter. 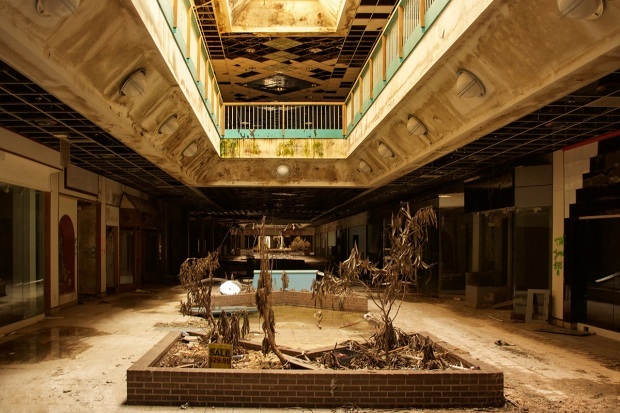 All traditional stores have struggled as Amazon and other online retailers draw shoppers away. Under Cornell, Target had cut costs, revitalized its fashion and home decor sections, tested smaller formats, and expanded online services. But Cornell found those efforts were not paying off. As Target works to rebuild, Wal-Mart is expected to post another quarter of higher customer traffic and increased same-store sales Thursday as its efforts to merge online sales with its vast number of stores click. Wal-Mart had warned in 2015 that stepped-up investments in stores and in its employees would hurt profits. Those investments appear to be paying off. Traffic and sales are solid at stores as a renewed emphasis on low prices has lured shoppers back. Target said it's been seeing significant market share gains across clothing, including women's, children's and swimwear. And Cornell told reporters that Target is benefiting from other companies closing stores. He estimates that $45 billion to $60 billion in sales are up for grabs. The company is also testing a program called Restock that lets its REDcard customers order household essentials like laundry detergent, paper towels and peanut butter and have them delivered to their homes the next day. The service, being tested with employees for now, is similar to Amazon Pantry. It will be expanded to customers in the Minneapolis area this summer. Target had quietly raised its free shipping threshold to $35 from $25 this month, going in the opposite direction of Wal-Mart and Amazon. For the quarter ended April 29, Target earned $681 million or $1.23 per share. Adjusted earnings came to $1.21 per share, well above the 91 cents per share that Wall Street had expected according to FactSet. Revenue fell 1.1 percent to $16.02 billion, but still beat analyst projections of $15.62 billion. Comparable-store sales fell 1.3 percent, but that was better than the 3.7 percent decline analysts had expected. Target shares gained $1.15 to $55.67, but they're still down more than 24 percent for the year.